It is taking a while for the state government offices to be made disabled friendly. This despite the target under the under the Accessible India campaign being July 2016. 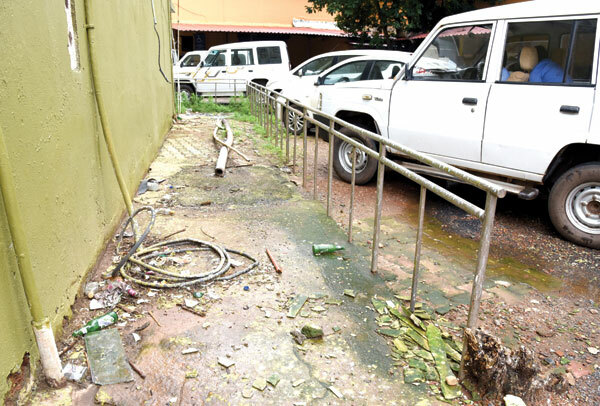 The work is yet to begin thus continuing the suffering persons with disability have to endure to access the government offices in Panjim. Accessibility for persons with disability does not mean only ramps and lifts but also tactile tiles and Braille signage’s for the visually impaired and visual signs and loops for the hearing impaired. As Herald visited most of the government offices in the capital city it was seen that except for the ramp and lifts, the offices lacked tactile tiles and Braille signage’s for the visually impaired. Also visual signs and loops for the hearing impaired were missing. The pathway leading to the ramp in the Directorate of Social Welfare office in the capital city is usually blocked by two wheelers thus making it very difficult for movement of people with disabilities. Further the old education building which houses a majority of offices also lacks ramp facilities. Secondly it was also seen the toilet at Junta House which is meant for people with disability had been closed for the past three months making it very difficult for them. “For the past three months the toilet which is meant for us has been closed and nobody knows why this was done” said a citizen on the condition of anonymity. Goa has 33,012 persons with disability as per Census 2011, of which 17,016 are males and 15,996 are females. Meanwhile, attempts to get a comment from the department of Social welfare were in vain as officers concerned were not available to respond to Herald queries.